Our gentle alternative to conventional chlorine based spa and hot tub chemicals is kinder to you and your family. There will be no more dry skin or hair and no more sore red eyes from your spa or hot tub water. 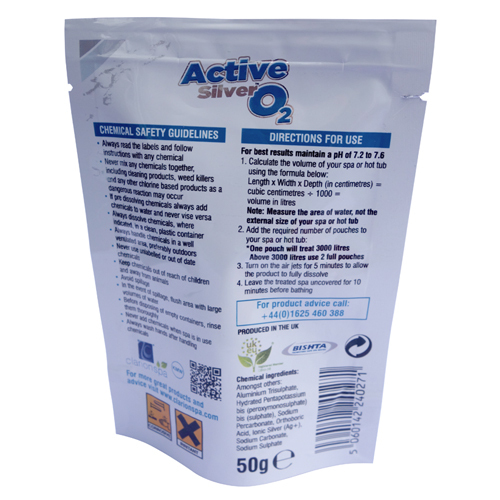 Unlike chlorine or bromine, our superior blend of Active Silver Oxygen ingredients has no unpleasant chemical odour. Active Silver Oxygen is also kinder on your spa or hot tub as chlorine salts can leave scale on the mechanical parts lowering its effectiveness and shortening its lifespan. Silver has been used as a treatment of medical ailments for over 100 years due to its natural antibacterial and antifungal properties. It also has healing properties and is clinically proven to aid better healing of cuts and sores. 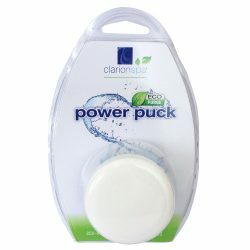 We have harnessed this antibacterial barrier in the form of silver ions (AG+) and incorporated this technology into our unique blend of Active Silver Oxygen ingredients. Through our extensive knowledge and experience of water treatment we have combined several ingredients together to make an algaecide that not only kills algae, but also prevents it from ever gaining a foothold in the first place. Our algaecide is a preventer and destroyer of all known algae types including blue-green, pink-red, brown and black algae. So no more discoloured water, slimy surfaces or staining on your spa or hot tub. Our unique spa and hot tub treatment gives you superbly sparkling clear water that is so inviting that you will want to jump straight in. Our specially selected blend of coagulants collects the very tiny particles of waste matter that would normally pass straight through the filter. It sticks them all together so they become large and heavy enough to be removed safely from the water. Finally, after we have provided you with a safe, sparking and bacteria free bathing environment, we have also incorporated our fabulous SpaSilk which will give your bathing water a truly luxurious silky soft feel. 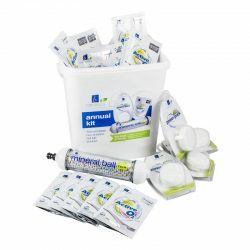 SpaSilk also aids in protecting your hot tub equipment and its surfaces. All this innovation in one easy application per week! 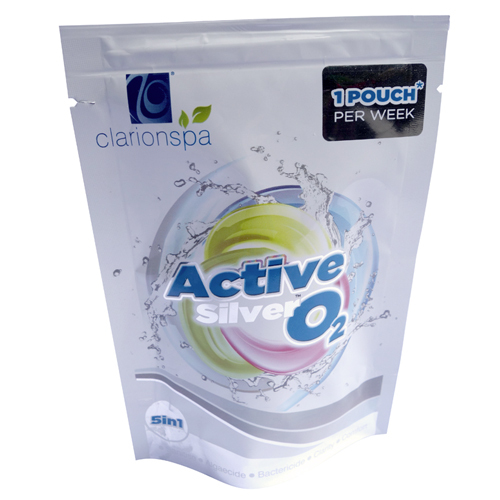 ClarionSpa Active Silver Oxygen System is designed to ensure the easy maintenance of your spa or hot tub. Simply add the required number of pouches directly to the water and enjoy. 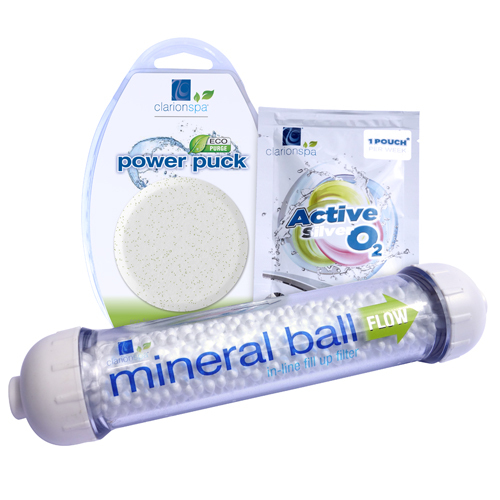 One full pouch per week will treat an average spa or hot tub of up to 3,000 litre capacity,*for over 3,000 litres use two full pouches. ClarionSpa Active Silver Oxygen System is totally compatible with chlorine so there is no need to drain your spa or hot tub beforehand, changing over to this new treatment can be done simply and instantly. Used in conjunction with our innovative range of highly effective eco-friendly sanitising products we will ensure that you have a clean and trouble free spa or hot tub all year round. Use our Mineral Ball Filter throughout the year, and our EcoPurge Power Puck on a quarterly basis. TOP TIP: We recommend dosing your spa or hot tub with the Active Silver Oxygen System later in the evening, as the UV rays from sunlight can reduce every chemical’s effectiveness before it has dissolved into water. If your hot tub is a new purchase your retailer should advise you to initially ‘purge and drain’ prior to using your hot tub to flush out any residue within the pipework. Don’t worry, Clarion Spa Active Silver Oxygen is totally compatible with chlorine so you do not have the hassle of draining your hot tub beforehand. Convert simply and instantly! If you are currently using a bromine product that is more volatile and you will need to purge and drain your hot tub prior to using Active Silver Oxygen. Open 1 easy-rip pouch and sprinkle the contents into your spa or hot tub water. One full pouch will treat an average hot tub up to 3,000 litre capacity, for over 3,000 litres use 2 pouches. Turn on the air jets for 5 minutes, use this time to put the empty pouch into your plastics recycling waste. Step into your luxurious hot tub and relax, smug in the knowledge that you have safe, clear water for another week. You deserve it!